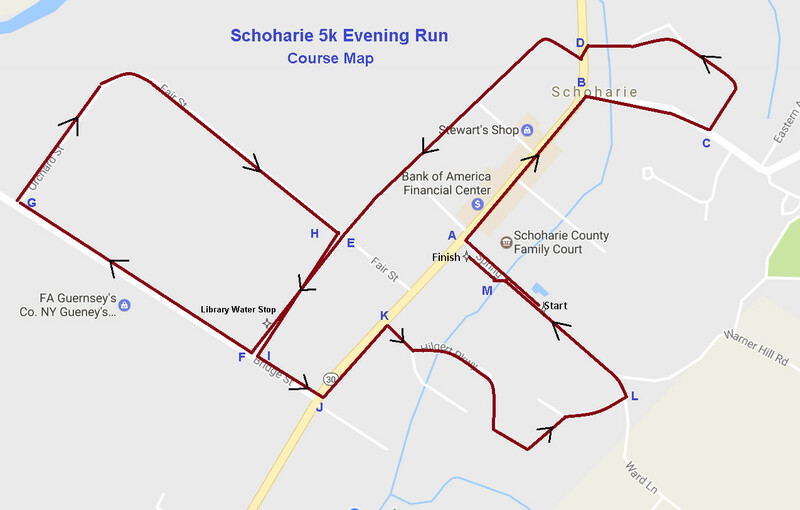 The Schoharie 5K Evening Run/Walk is on Saturday May 12th 2018 at 5PM. We have teamed up again with the Schoharie Promotional Association and have a Band and Barbeque too! It is the same scenic course that loops through the Village but starts and ends at the County Parking lot on the corner of Route 30 and Spring St. There are Awards for all age groups, Post race Refreshments (in addition to the barbeque). Last year the barbeque sold out. Come early and purchase your barbeque ticket before the race and it will be there at the end for you! The race benefits area food banks this year. A Chicken BBQ and a Band will follow the race sponsored by the Schoharie Promotional Association. Chicken BBQ orders will be taken on the day of the race. There will be a table next to the registration table.